The Garmin Forerunner is a premium GPS tracker. The device can literally go anywhere with you, even under water and still function. It is a perfect life companion for any athlete. Garmin is a well known name in GPS industry and is a superior producer of positioning products for outdoor activities, sports and even marine & aviation services. The Forerunner -310XT is Garmin’s top of the line GPS tracker and is one of the most premium fitness devices that the company produces. The 310XT is a multisport tracker and keeps track of all necessary stats while running, cycling, riding or even swimming. It can actively track your location, path, pace, power data and heart rate (with optional monitor). The device is first of its category to be completely functional under-water. It is waterproof till up to 50m. 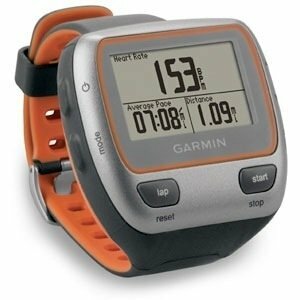 Weighing just 2.6 ounces it is lighter than Garmin’s other models and fits comfortably on your wrist. It comes with a non-standard battery that gives a backup of 20 hours which is the most for any active running GPS device. The product is offered with 1 year of Manufacturer’s warranty and costs around $184.50 on Amazon. The 310XT is marvelously shaped with a streamlined profile that pulls off an urban, funky look. The display is brilliant around 3.3 inches large. The device displays huge bold figures and you can make use of it even at night as the display is back lit and provides good readability in trickiest of situations. There is no standard format of displaying the information and users get an option to select custom screen according to what suits them the best. The device comes with a wrist strap and a mounting piece for mounting it to a treadmill or bike. The default wrist strap is easy to wear. It splits into two pieces unlike traditional bands and is made of a comfortable fabric. If your wrists are too busy for the device, you can always mount it to bar of your cycle or treadmill or anywhere making use of the mounting piece. The transition between the band and mounts is effortless. Using the GPS satellite data, the -310XT can track your current position, distance covered, pace and heart rate. The GPS is highly sensitive and the Forerunner acquires satellites quickly even in densely populated areas or areas with a lot of trees and buildings. Not only does the 310XT track your stats , the device further calculates the results using set formulas to determine correct conditions for the user, such as when paired with a optional heart rate sensor it tracks the heart rate per minute and uses the data to calculate the burnt calorie count. Unlike previous models the device does not require a usb wire to sync and syncs wirelessly over the ANT+ wireless technology. A receiver USB dongle must be plugged into the USB port of your computer for seamless streaming. 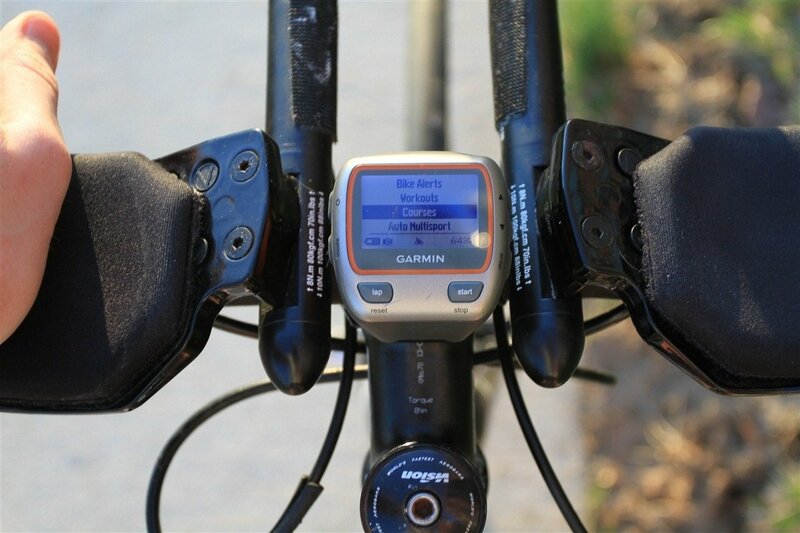 Once you are done with your runs, rides or any activity session, you can upload your stats to Garmin’s online database; the Garmin-Connect. When the stats are uploaded you can view them, share them and compare them and even make them into customized courses. You can further analyze these facts using Garmin’s algorithms to make your activity sessions more brilliant and rewarding. You can challenge your friends and rest of Garmin community to beat your records which creates a competitive and motivating environment. We really loved the aesthetics and the streamlined design of the device which gives it a premium look. The display was a beauty and the battery life excellent. It’s under water functionality is a great feature and makes the GARMIN FORERUNNER 310XT a must buy for any sports person.